The campaign trailer for Battlefleet Gothic: Armada 2 by Focus Home Interactive shakes the game universe. The clip introduces the three campaigns of the strategy game in every detail. BG:A2 will be released on 24.1.2019. Publisher Focus Home Interactive has released a very detailed campaign trailer for the upcoming start of the 2nd beta phase of Battlefleet Gothic: Armada 2 on January 15. It tells you what the campaign of the space strategy is about. 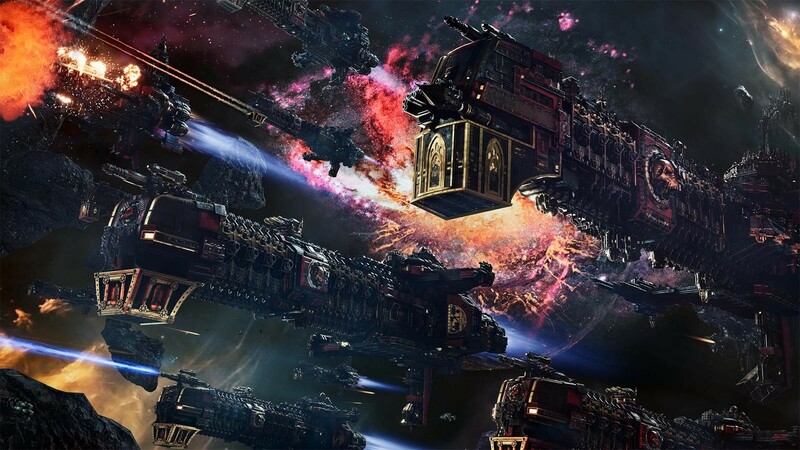 Battlefleet Gothic: Armada 2, will allow the player to lead his armies into fiercest space battles the Warhammer 40k universe has to offer. In three quite long campaigns, you will command the combined forces of the Human Empire, the Necron Empire, and the Xenos Tyranides. The campaigns should keep you happy for more than 100 hours - as Focus promises. And that's just the single-player part - skirmish and multiplayer games will make the game complete. Each campaign is playable in cooperative mode, with two players controlling half a fleet each. You might also be able to try this mode soon in the second pre-order beta, which starts on January 15th. At least the first storyline of the Empire's and Necron's campaigns will then be playable for the first time. The beta also features multiplayer and skirmish modes, with 12 playable factions, more than 80 sub-fractions, rank-based matches, and customizable maps. Order Battlefleet Gothic: Armada 2 before January 24th at Gamesplanet and you can join the beta directly from January 15th. The final version of the real-time strategy game will be released on January 24 for PC.